The Outpatient Pulmonary Rehabilitation Program is individually tailored to meet each patient’s needs. The shortness of breath associated with lung disease can certainly compromise your lifestyle, but there are always ways to better manage your breathing problems. Windham Hospital’s Outpatient Pulmonary Rehabilitation Program can help those coping with lung disease breath easier and more efficiently. The Outpatient Pulmonary Rehabilitation Program is individually tailored to meet each patient’s needs and include classes, which take place on Tuesdays and Thursdays at Windham Hospital, run for eight consecutive weeks. The program emphasizes physical conditioning, education about breathing and energy conservation. 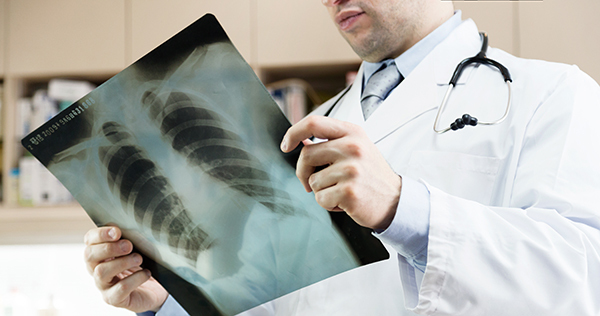 It also highlights education about their specific lung disease and respiratory medications associated with them. Aerobic and strengthening exercises have been shown to be beneficial in reducing the effects of lung disease on daily activities and reducing physician office visits and hospitalization. Those interested in joining the program need a referral from their physician. After a physician’s referral is obtained, and pre-admission testing is complete, an interview will be scheduled with the respiratory therapist and physical therapists. Payment for the Outpatient Pulmonary Rehabilitation at Windham Hospital is usually covered by Medicare, Anthem Blue Cross, PHS and other insurance providers. For those who are uninsured or under-insured we now have additional resources from the Senior Resources Area Agency on Aging to help seniors continue their Pulmonary Maintenance Program even after insurance benefits expire. For more information about the Outpatient Pulmonary Rehabilitation program, contact Renee Clinton at Windham Hospital Pulmonary Rehabilitation Program at 860.456.6879.